Anybody who works for himself and who does not have an employment contract with a company or somebody else is self-employed (“selbstständig”). This is just a broad description of your current working status. It has no further implications in terms of the German legal, tax or administrative systems. Why are the terms so important? What are the “liberal” or “free” professions (“freie Berufe”)? What are trade or craft businesses? Who can register a trade business? What are the practical differences between registration as a trade business and belonging to the liberal professions? Can you have a trade business and be a member of the liberal professions (“Freiberufler”) at the same time? What taxes do you pay as a freelancer? What is trade tax (“Gewerbesteuer”) and how is it calculated? What must the freelancer be able to demonstrate? What will the authorities look at? 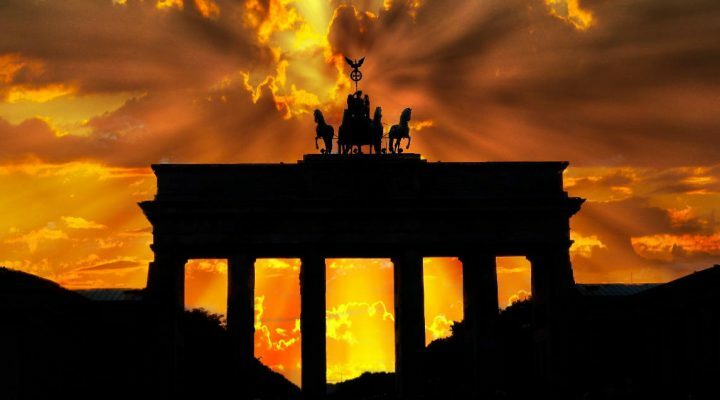 If you are just considering starting freelancing in Germany, you have to decide what sort of business you are. Depending on the classification, you have to register your business in a different way. And, perhaps more importantly, there are tax implications. Whilst they do share certain common factors, there are some big differences which I am going to explain in more detail. the healing professions: Doctors, dentists, vets, healing practitioners and physiotherapists. Media and language professions: journalists, reporters, translators and interpreters. As well as those professions specifically mentioned, any profession may be included that is similar in function, even if the description is different. In most instances you will be providing a service or services. There is a significant amount of creativity in the work you do. You will be suitably qualified to do the work, either with a college or university degree or other professional qualifications. It can also count if If you can demonstrate competency in your job. Your work is done primarily with your head rather than your hands. You have and take full responsibility for the work you do. No other person or company employs you. (Lawyers or doctors, for example, can be qualified but simply work as employees). If the work you do belongs to the liberal professions, you do not have to register your business as a trade with the city (see below). You do, however, have to inform the tax office. The tax office will then send you a tax registration questionnaire (“Fragebogen zur steuerlichen Erfassung”). In my article “A guide to VAT for freelancers in Germany” I described the procedure regarding this form. It is a fairly complicated form in German so you might need some help from a German speaker with it. If you want some very good instructions in English on how to fill out the form, I recommend Hanna Lisa Haferkamp’s instructions in her blog. What is particularly important in the form is the description of what you do. Based on this, the tax office will decide whether you belong to the liberal professions or not. This fact is relevant in determining whether you must pay trade tax (see below) or not. Trade or craft businesses are those which do not belong to the liberal professions. In other words, everyone else. Anybody who is selling physical products has, by definition a trade business. And this also applies to anyone who performs any services which requires primarily the use of their hands. Before starting work as a trade business, the law requires you to register your business. You must do this in the city where you live, usually in the town hall or Citizens Office (“Bürgeramt”), although this can vary from place to place. If you google “Gewerbeanmeldung + YOUR CITY” you should find information about where you have to go. In some cities such as Berlin, for example, you can register online. The cost for registering will be between EUR 15 and EUR 30 depending on which city you live in. The form, whether offline or online, will be in German so I would strongly advise you to have a German speaker to help you. The registration itself is not complicated. It is important to consider carefully exactly what activities you are proposing to do and include them in your application. If the nature of your business changes, or you start doing something else as well, then this must be reflected in the form. If you did not put the activity on the form originally, then you must make a change application for your business. Anybody is allowed to register a trade business. There are however some exceptions. There are certain trades and businesses which require you to have a licence in order to carry them out. Also, certain trades require a special qualification as “Master” (“Meister”). So, if you want to register a business as a baker or carpenter, for example, you must have this qualification. If you have a trade business you have to pay an additional tax. This is called trade tax (“Gewerbesteuer”). The trade tax is quite simply an additional cost of doing business. It is therefore worth fighting for the status of being a member of the liberal professions – if that is possible. As a member of the liberal professions, you will only ever have to produce an income and expense report for the tax office. If your trade business, however, exceeds certain thresholds, then you must produce full accounts including a profit and loss statement and a balance sheet. This is the case for all businesses with revenue over EUR 600,000 or a net profit of EUR 60,000. If you have a trade business, you have to join the local Chamber of Industry and Commerce (“IHK”). This is compulsory (they receive your data automatically when you register your business) and costs a yearly fee. The fee is, however, dependant on the profitability of the business. There is a law defining the way that trade business works (“Gewerbeordnung“). It sets out, for example, those trades that require an additional licence. No such law exists for members of the liberal professions. If you have two different types of business which can be clearly separated from each other, then you can have both at the same time. If not, then it will always be defined as a trade business. You must produce separate accounts for each of the businesses. Again, there will be grey areas in the definitions of the businesses here too – ultimately it is the decision of the tax office. Income tax (“Einkommensteuer”): as a freelancer – regardless of what type – you pay income tax on the profits you make from your business. You are obliged to fill out an income tax return by May 31st of the following year. If your tax advisor submits your tax return, the deadline can be extended until December 31st. If you cannot do your tax return within the time limits, it is possible – and advisable – to apply for an extension from the tax office. VAT (“Umsatzsteuer”): you must charge value added tax (VAT) on your products and services if you exceed certain revenue thresholds. I have described the VAT process for freelancers in detail in this article: “A guide to VAT for freelancers in Germany“. Trade tax (“Gewerbesteuer”): this tax is only payable by trade businesses and not by members of the liberal professions. Trade tax is a tax on the profits of trade businesses. The city keeps the trade tax raised from businesses there and the money finances its infrastructure. You calculate the tax itself by taking the profit of the business, making some adjustments to it for interest on debts (amongst other things) and then subtracting a tax exempt amount of EUR 24,500. The result is then multiplied by 3,5% to arrive at the Trade tax calculation amount. Each city can individually determine how much the trade tax charge will be by setting an individual multiplier (“Hebesatz”) – usually somewhere between 250% and 400%. One positive thing is that you can set off part of the trade tax paid against the income tax. Every person – and that includes all those freelancing in Germany – must have health insurance. I have written about this in a separate article “Health insurance for freelancers in Germany“. It is not compulsory to have any other social insurances as a freelancer. “Bogus” self-employment (“Scheinselbstständigkeit”) refers to the situation where a freelancer is contracted to a company and, for all intents and purposes, he is an employee of the company on an ongoing basis. It is quite legitimate for companies to employ freelancers for special projects or to cover certain peak periods. If, however, they always use freelancers, the question arises as to whether this is a case of bogus self-employment. By employing a freelancer instead of an employee, the company avoids paying social insurance charges. It does not deduct payroll taxes and pay them to the tax office. This is considered to be fraud by the company. – he has a proper business organisation, including for example an office elsewhere. – there are other customers in his portfolio apart from the one he is currently working for. He must be able to demonstrate that he is actively looking for new customers. – the management of his time is his own responsibility. – he has a contract with the company which has a defined beginning and end. who is carrying the business risk. whether the freelancer is doing exactly the same work as other employees. whether there are vacation agreements with the freelancer. if the company treats the freelancer just like an employee and he is an integral part of the organisation chart. if the freelancer is responsible for his own work, or if he has to do what the company tells him to do. Clearly, every situation will be different but you should not underestimate the risks. – the company must pay all social charges (including those normally borne by the employee) for a period of up to four year retroactively. – it must pay the payroll taxes (+ interest) for the period in which the freelancer was working for the company. – the tax office will demand repayment of any VAT on the freelancers’ invoices that the company had previously deducted from its own VAT charge. – depending on the situation and the amounts involved, the tax office can accuse the company of tax fraud and therefore punish it accordingly. – it must treat the freelancer like an employee in every respect. He then has a legal right to paid vacation, the company cannot terminate him without cause and he has a right to maternity leave. It will also have consequences for the freelancer, resulting in a complete review of his tax returns based on the fact that he is no longer a freelancer. Freelancing in Germany has its risks and this is not a situation to be taken lightly. If you find yourself in this situation, taking advice from a professional tax advisor is the only sensible thing to do. He can advise you on your position and help negotiate the situation with the tax office if that is necessary. At the end of the day, it is up to you as a freelancer to do your stuff. You should not ignore, though, the questions concerning what type of freelancer you are. That can cost you money and also some additional bureaucracy to be dealt with. The tax office will ultimately decide what sort of freelancer you are – but you should make the best possible case for yourself. If you are in doubt, I would strongly urge you to get professional advice from a tax advisor (“Steuerberater”) to help you in your dealings with them. It will be worth your time and the money.